the new BSM-3 broadband sounder is optimized for the new range of high performance broadband sounders. 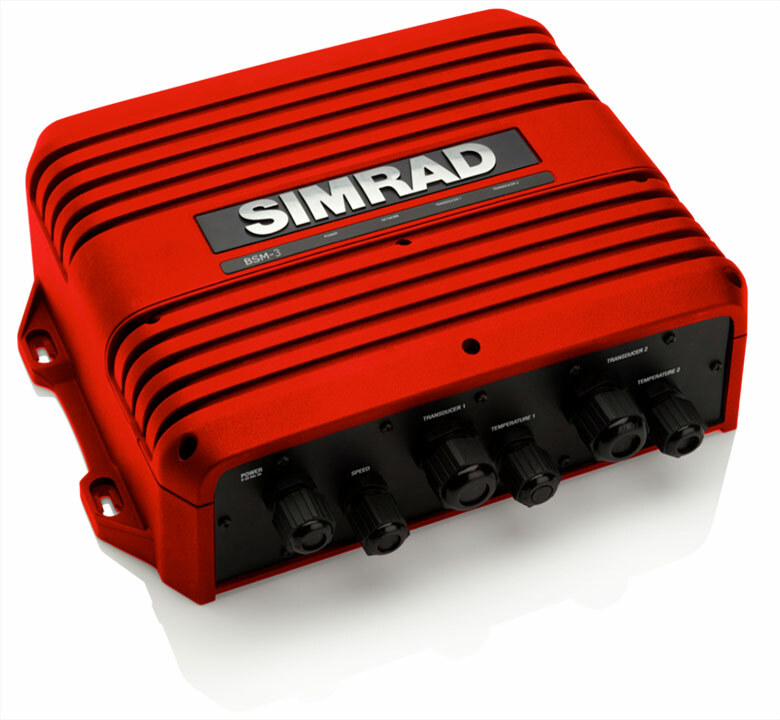 The Simrad BSM-3 can reach 3000 meters (10000 feet) depth with the right transducer. It is built into an all new rugged aluminium housing and now with connectors. It is a Dual Channel Chirp transducers that supports Ultra-Low, Low, Medium and High Frequencies. It also supports standard narrowband and broadband transducers in the 1 kW to 3 kW range. If used with one of the new Evo 2 Simrad models – the BSM-3 adjustments can be previewed on screen while making adjustments. If used with older NSE and NSO units without the HEROiC user interface some feature might be unavailable.